Sudden Coffee is excellent in every form, can be brewed anywhere & is quick and efficient for those of you who want a second cup of the day. Sudden Coffee is hand-crafted, each individual tube is packaged by our processing teams, just like a micro roaster sending out individual bags. Our Coffee is lightly roasted to bring out the best of flavors, such as Citrus, Chocolate & Toffy. We have spent hours, coming up with a consistent recipe for each tube, so no matter where you are, or what type of coffee you are making, it is the same everytime. Sudden Coffee is the brainchild of Kalle Freese, 9 th place winner in the 2015 World Barista Championship. He started working in coffee at 16 and soon realized that serving someone a good cup of coffee with a smile is a great way to make their day a little bit better. But there’s only so many people you can serve in café. Frustrated by this Kalle decided to close his café Freese Coffee in Helsinki and find a way to make good coffee easy and fun – and so Sudden Coffee was born. 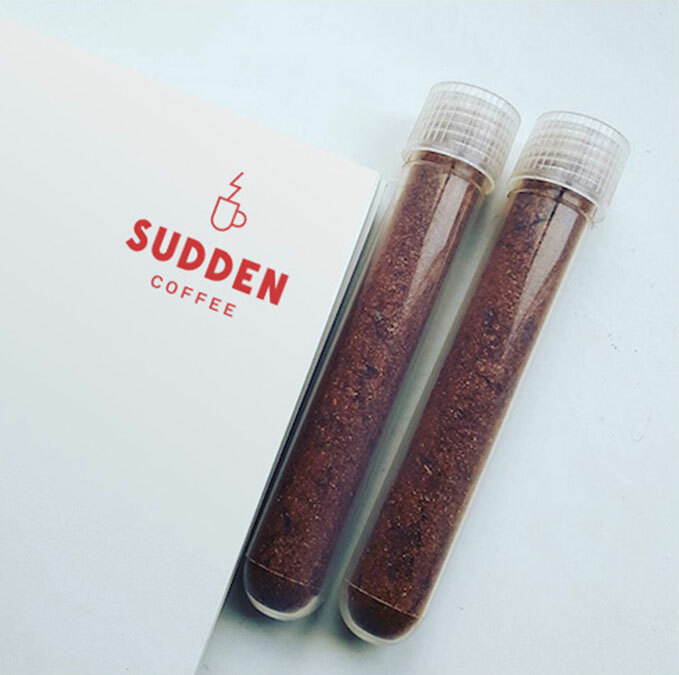 We created Sudden Coffee to help people have a little more fun in their day through good coffee. We believe coffee has the power to make you feel something special and we wanted everyone to be able to experience it anywhere, anytime.